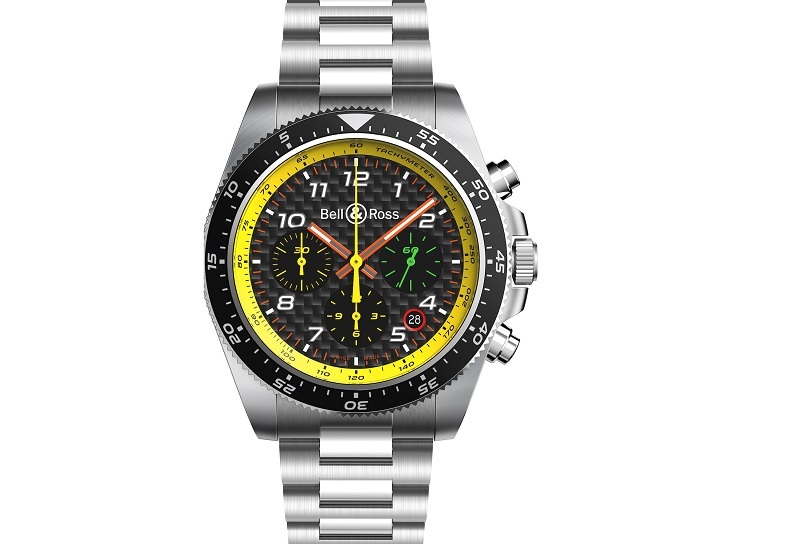 Chronographs have become synonymous with motorsport since the 1960s and Bell & Ross zooms ahead with the 999-piece limited edition BR V3-94 R.S.19. Colour-keyed according to the black-and-yellow steering wheels of F1 Renault teammates Daniel Ricciardo and Nico Hülkenberg, the racy aesthetics are matched by a high-performance carbon fibre dial and venerable stopwatch precision of one-eighth of a second. 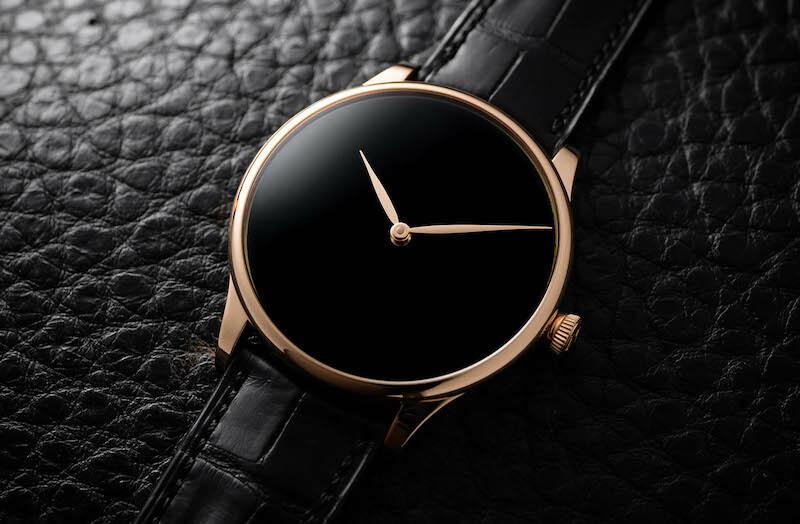 H. Moser & Cie looked to astrophysics in forging the Venturer Concept Vantablack dress watch, creating an ultra-black dial by leveraging on Vantablack’s ability to absorb 99.96% of light. The hypnotic abyss evoked by the innovative material, composed from carbon nanotubes and regarded as the darkest substance in existence, is framed within a 39mm red gold case with two slender hands keeping time. Feeling lucky? 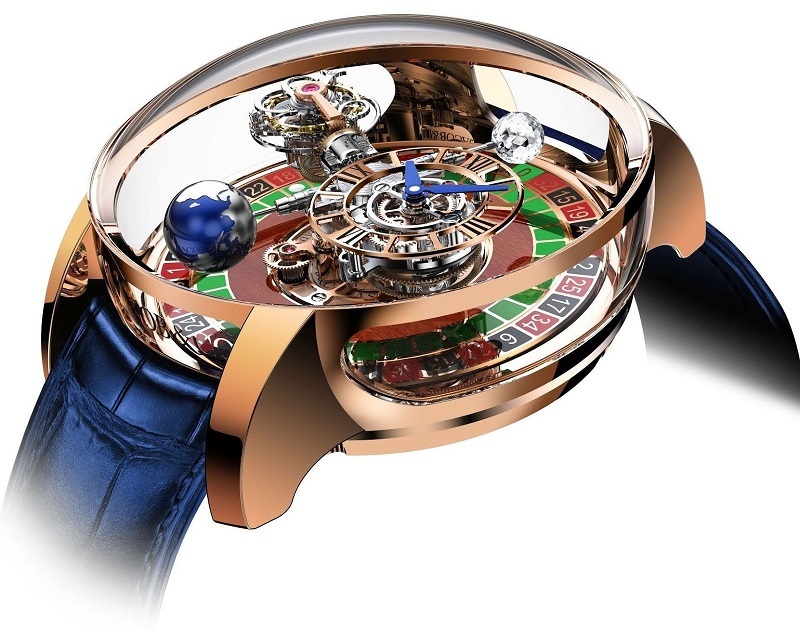 Try getting your hand on one of Jacob & Co’s Astronomia Casino watches, limited to just 18 pieces. Beneath the sapphire crystal dome lies a fully-operational miniature roulette wheel rendered in green, red and black enamel with mahogany inlays, set in motion with a button at 8 o’clock. With all that fun, you might even forget this toy tells the time, and accurately, too. A horological interpretation of a tattoo, the Big Bang Sang Bleu II by Hublot channels the craft of tattooist and brand collaborator Maxime Plescia-Buchi. 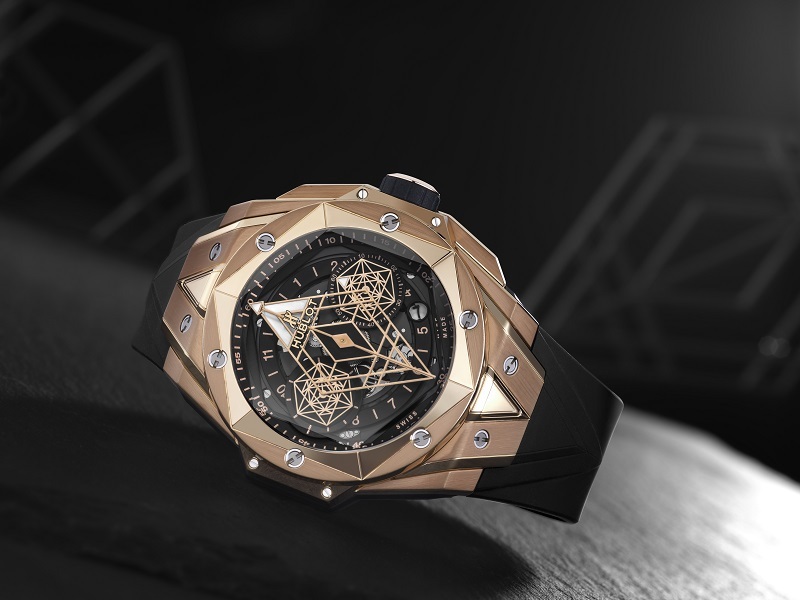 His signature angles and edges are given three-dimensional form in an architectural 45mm case, with stacked hands – two elongated diamonds and an arrow – telling the time above a semi-skeletonised movement. The motif spans the case, cuts into the hexagonal bezel and reaches down to the lugs in this exquisite play of geometry. 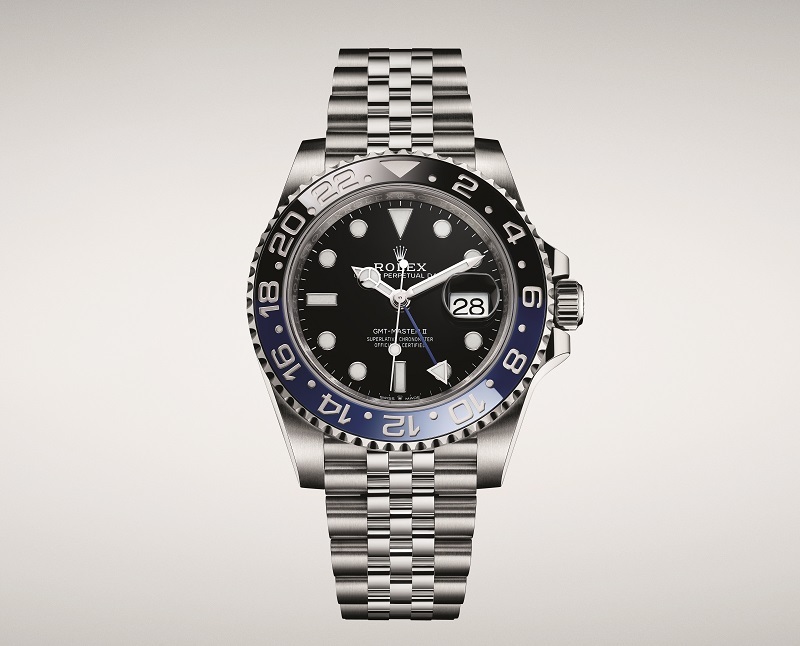 When Rolex launched its Pepsi-themed Oyster Perpetual GMT-Master II in 2018, fans went wild, both on the ground at Baselworld and on social media. The cult following is expected to continue with this year’s Batman iteration, which swaps the red Cerachrom insert on the two-toned bi-directional bezel for black. 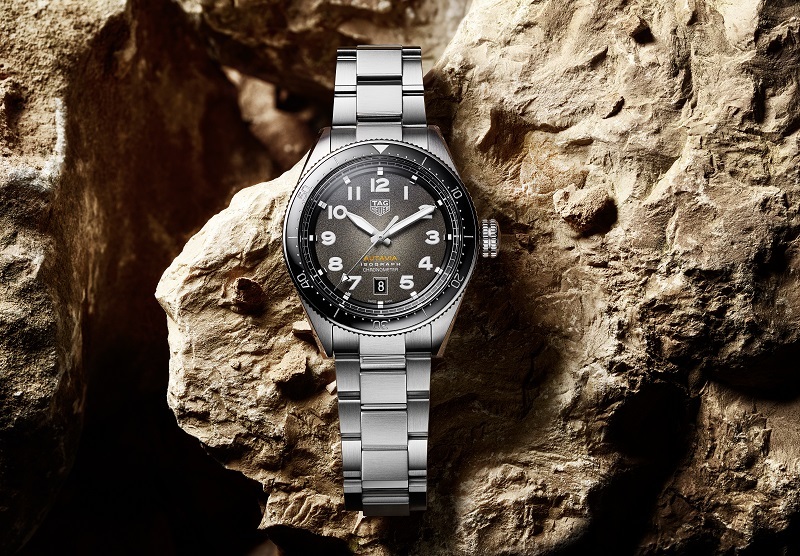 Like its predecessor, it keeps a 24-hour display with a second time-zone, instantaneous date change and a 70-hour power reserve driven by the Superlative Chronometer-certified Calibre 3285. Oris is working with Pacific Garbage Screening, an organisation that uses an innovative floating platform that collects plastic waste in the ocean and converts it into energy. 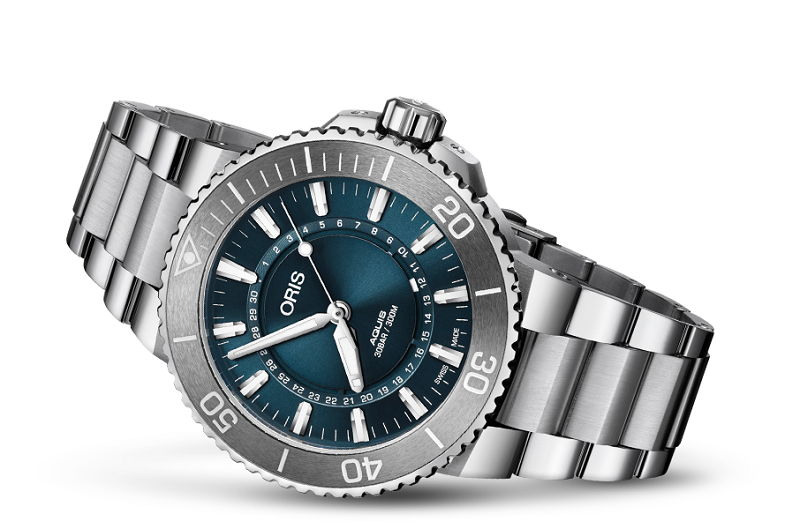 To mark this partnership, the watch brand has released a new rendition of the Oris Aquis diver’s watch. With an aqua blue dial reminiscent of the sea, the Clean Ocean Limited Edition has a recycled PET medallion screwed onto its stainless steel caseback. Limited to 2,000 pieces, each watch comes in a box made with environmentally friendly algae with recycled plastic inlays. The Tangente neomatik 41 Update has a new makeover, with an elegant dial made of ruthenium, a rare platinum metal. Depending on the light, the dial is a dark grey or golden brown. The timepiece also features a date ring which has two red markers that frame the current date. 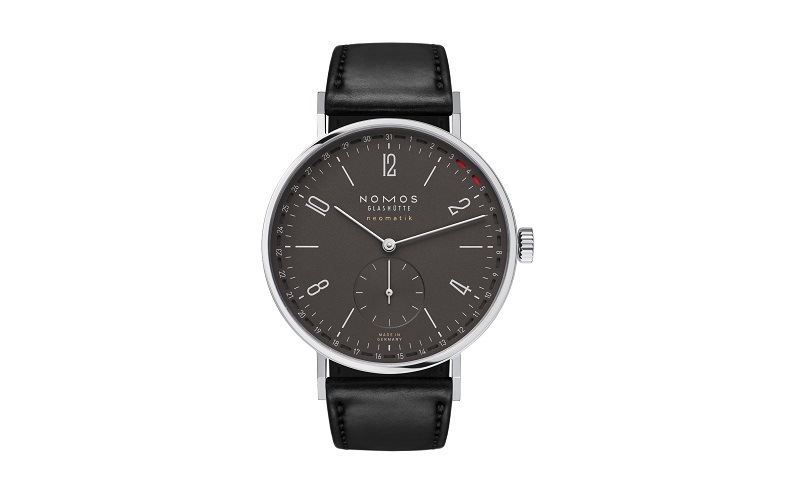 Impressively slim at 7.9mm, its beating heart is Nomos’ second in-house neomatik movement. Complete with a stainless steel case and sapphire crystal glass, the Tangente Update comes with a black Horween Genuine Shell Cordovan strap. The hypnotic movement of the patented Zenith Oscillator control system, make the Defy Inventor a mechanical marvel. This technology has replaced the sprung balance, making it a major innovation that increases reliability. As a first in the watch industry, the escape-wheel is even made of flexible blades. With a brushed titanium case and a bezel made from the lightest aluminium composite in the world, Aeronith, this watch really stands out. 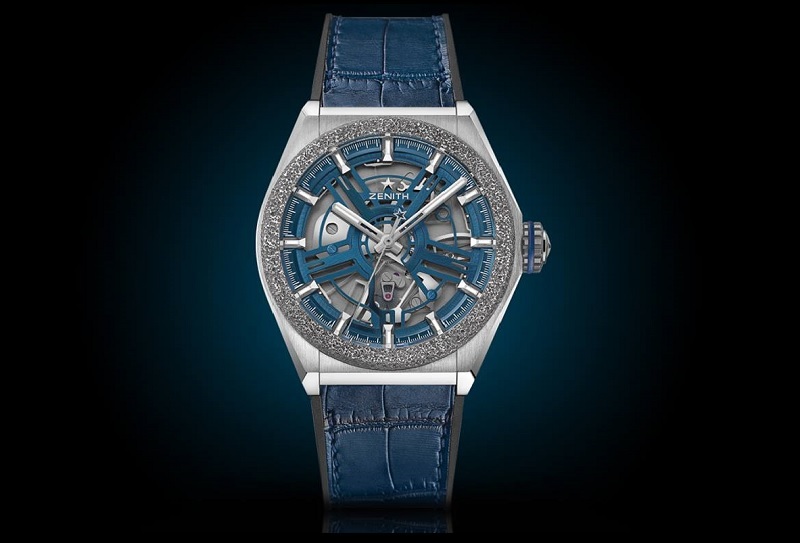 At 44mm diameter, the Defy Inventor has a strap of black rubber with a blue alligator leather coating. The first Superocean model was launched in 1957 and it has only increased in popularity since. This classic diver’s watch houses Breitling Caliber 17, which offers a 38 hour power reserve. The new Superocean 42, with a 42mm stainless steel case, comes with a Diver Pro II rubber strap or a stainless steel bracelet. 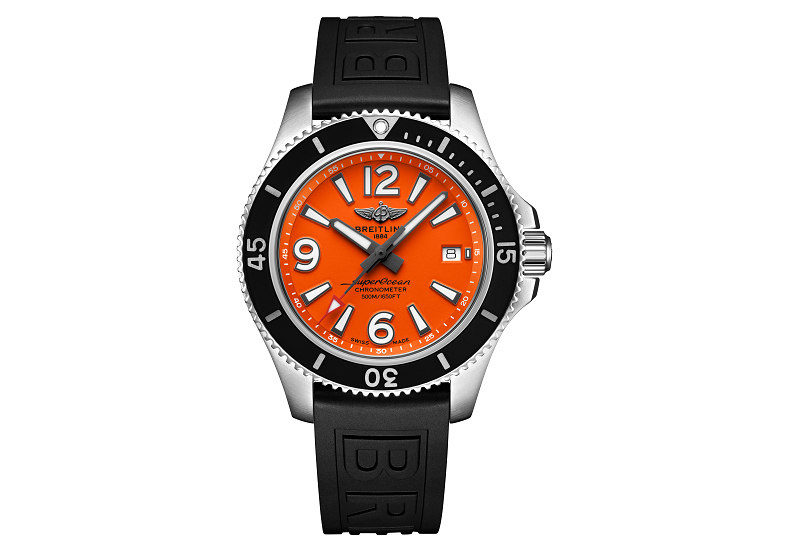 With a choice of a black, white or orange dial, the timepiece has a ratcheted unidirectional bezel and is water resistant up to 500 meters. The TAG Heuer Autavia is being reintroduced with seven references, inspired by adventure and a daring spirit. Housing the chronometer-certified Calibre 5, a movement that uses innovative carbon-composite hairspring technology, the Autavia has a 42mm case in stainless steel with a bidirectional rotating bezel available in blue or black ceramic or stainless steel. With a choice of blue, black or a grey smoked dial, and a light or dark brown calfskin strap or a stainless steel bracelet, you're spoilt for choice. For more Baselworld news, look out for our watch magazine 'Calibre' at newsstands soon.